From court battles to awards of triumph, dramatic changes followed the highs and lows of the Nigerian real estate sector in 2018. However, despite its perceived setbacks, the real estate industry like the other sectors of the Nigerian economy in the year witnessed extraordinary and action-packed events. In this report, Olaniyi Ola writes that 2018 could appropriately be depicted as gloom for so many industry operatives in the sector and delight for several others. In the course of the year, the federal government worked with private sector organizations to bring people from different backgrounds together to improve the life of Nigerians through infrastructural development. Market operatives also said that the growth in tenant demand for rental property in 2018 moderated as demand for flats fell away due to an oversupply in the markets throughout the country. Tenant demand for commercial property was pulled down by a weak retail sector as sector analysts watched investors shun the market. Industry pundits reported that business demand for commercial property fell in the third quarter of 2018. Another section of market operatives reported a fall than a rise in demand compared to a substantial rise witnessed during the second quarter. A weak retail sector has been the driving factor behind falls in demand, although office property demand has also moderated. New enquiries have held firm indicating that expansion may be on temporary hold until real estate finance jitters subside. The credit market turmoil has had a negative impact on investment into commercial property assets with capital values declining across all sub-sectors real estate. Meanwhile, industry pundits reported the biggest declines in investor demand within the office sector as the recent financial sector turmoil has seen investors re-price risk. More market operatives reported a fall than a rise in investment demand in the office sector which also recorded the biggest fall in prime capital values with the net balance falling drastically in the second and third quarters. Looking forward, real estate professionals became the most pessimistic in 2018. A balance of more chartered practitioners expect market activity to ease in the coming quarter just as negative sentiment was mostly driven by the retail sector where confidence fell to the lowest level since the first quarter of 2018. Confidence in rental expectations halved in third quarter but still remains positive outside of the retail sector. The turmoil in the credit market is being most acutely felt in commercial property as the sector is more dependent on capital market funding than in the past. Real estate business expansion has been put on hold in the short term with the near term outlook for rents weaker as a result. Fears of the impact of the credit crunch have made investors retreat to the margins as confidence in returns diminishes. Sentiment in the market is at the lowest point in four years and is unlikely to improve in the short term in 2019. Calls from analysts and major investors in the nation’s real estate industry for Federal and State Governments to review and revamp activities of agencies responsible for the management of legal and administrative provisions in the housing sector did not yield any result. However, the Nigerian housing and construction market has recorded strong growth in key parameters over the last few months. The performance was particularly more over the last four months due, mainly, to several economic and financial market reforms. The reforms led to an increase in investor confidence, thus, driving the influx of local and foreign capital to the real estate market. As a result of the speculative positioning that pervaded the market in the last quarter of the year, we saw the market real estate appreciate at a fast and unsustainable pace. Real estate speculators that were quick to enter the market were just as quick to exit and take their short-term profits through short-term mortgage and other housing finance facility. Throughout its history, Nigeria has experienced profound change and should not be perceived as stagnant but rather in constant evolution, and capable of significant adaptation and progress. Faced by tough competition in traditional investment and core banking areas, banks operating within the nation’s financial system found solace in fast track real estate investment options. Hence, the market scenario that was experienced at the early stages of our national life could be said to have resulted from the vacuum created by the need to regain national consciousness. While the impact of urge notably impacted on the housing and construction market, it ordinarily did not hold any significance to the long-term investment drive. If not for anything, it served as another opportunity to redirect market inertia. However, the experience of the recent upturn in the market comes with a vital lesson and highlights the need for the emergence of a regulation-driven market as against the existing speculation-driven market. It also makes a strong case for real estate investors to place greater emphasis on portfolio expansion in other correlated real estate asset classes. No doubt, the construction sub-sector of the equity market of the Nigerian Stock Exchange, in the last 12 months, recorded high capital appreciation with a good average return. According to the economic review and outlook of industry operatives, the construction sub-sector’s record was attributed to increased government patronage and boom in the housing sector. In an effort by real estate pundits to address the various problems facing the nation’s housing and construction industry with a view to repositioning housing finance sector, industry watchers, housing finance experts, construction sector professionals, real estate practitioners in the specialised sector agreed that the problems confronting the industry with particular emphasis on financing the construction process can only be tackled through an exhaustive overhaul of the supply chains. With consummate passion, housing and construction experts, real estate developers and other stakeholders, who took a critical look at housing sector reforms in Nigeria, decried the inability of sector provide affordable and decent shelter for its teeming citizens. The review, which was conducted towards the end of the last quarter of last year, made an attempt to open up Nigeria to current trend in global housing finance markets as it x-rayed the thoughts housing finance professionals and experts operating in the country. 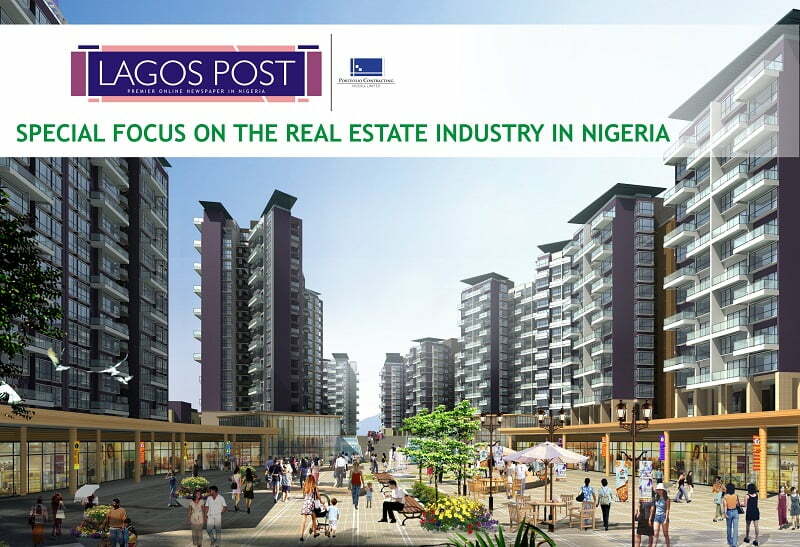 Apart from addressing options for infrastructure financing for mass housing development in Nigeria, these real estate industry operators concluded that there need is to stimulate the growth of the real estate sector by promoting the delivery of affordable housing through an integrated supply chain, and small and medium enterprises. According to them, real estate plays an important role in all human activities. Quoting national accounts data, from the Bureau of Statistics shows that between 2016 and 2017, they said the housing sector contributed an average of 1.38 per cent to national output (Gross Domestic Product); and grew at 6.98 per cent each year (compared to average GDP growth of 6.58 per cent), it is worth noting that since 2014, housing has grown at 11.02 per cent compared to GDP growth of 6.24 per cent. Notwithstanding recent growth in the sector, UN-Habitat estimates deficit in housing stock at between 18-20 million units. Approximately one million housing units are required annually. The Agusto Real Estate Industry Report for 2017 estimates industry turnover at N900 billion (US$7.2bn) – approximately 5 per cent of nominal GDP. In the past, property development for the public had been almost an exclusive preserve of Federal and State Governments and their parastatals. “Housing estates were built for sale to low and medium income earners. The private sector was often left out, due to the difficulties in obtaining titles to large tracts of land. Besides, banks were not interested in financing such long-term-yield business,” they opined. They, however, stated that in the last 15 years or thereabout, many private companies had ventured into real estate development, adding that they carry on most of their activities in highly cosmopolitan cities like Lagos, Abuja and Port Harcourt. The number of such companies would be over 150 in the country, each with annual turnover of over N500 million. Most of them are members of the Real Estate Developers Association of Nigeria (REDAN), a principal agency and umbrella body of the organized private sector responsible for housing development in Nigeria currently led by Reverend Ugochukwu Chime, its President and Chairman of Council. There are also individual developers who are involved in building houses. These are people who buy land for personal development basically characterized by inadequate infrastructure, poor construction techniques and title deficiencies. While throwing more light on the legal, financial, operational, social and marketing challenges face by stakeholders in the housing and real estate sector, they explained that legal challenges have to do with the authenticity of title documents, cost of title acquisition, obtaining building approvals, individual rights to sell and pledge land, among others. Financial challenges include credit risks arising from high and volatile interest rates, cost of construction, inadequate framework for housing finance and uncontrollable projections. Operational challenges concern inadequate housing supply chain, cost of construction and contractual performance. Social challenges include cultural nuances and third party issues arising from agreements related to compensate settlers. Marketing challenges involve weak primary mortgage market, absence of secondary finance markets and affordability. Also, they said decent housing is the right of every single person that lives on earth and added that housing is poor and inadequate for the majority of the population in third world countries. Poor housing finance is made evident in life expectancy, tenancy, slums, shanties, overcrowded living spaces, inadequate facilities, limited housing design options, etc. Available statistics show that 10 per cent of households have access to water closet facilities, while others depend on pit latrines and dung hills; 40 per cent have access to pipe-borne and bore-hole and others have wells and streams. There are three perspectives of housing that should be considered. Looking at housing as shelter, the pundits consider it a basic need for ensuring a modicum of decency and privacy since households allocate 10-15 per cent of earnings to shelter and inhabit whatever product this amount will buy. Housing offers financial security and social status. It accounts for over 60 per cent of total assets owned by limited income families. It offers prospects of lucrative returns, used to generate revenue while it appreciates in value over time. Land and buildings account for 25-45 per cent of investment required to set up a micro enterprise. The real estate analysts believe that housing for low income earners in Africa is potentially a huge market, adding that it has the highest number of customers. This unique segment of the housing market in Nigeria amount to 70 – 90 per cent of the population, i.e. over 90 million. The informal sector accounts for over 50 per cent of GDP. Low income people in 3rd world are the core market in virtually all sectors including housing. Most houses sold in Nigeria including the so-called ‘low-cost houses’ are above N5 million. But the income of average Nigerian per annum is about N140,000 (about $1,200) and more realistically most Nigerians earn less than N100,000.00. Apart from politicians, only staffs of banks or financial institutions, oil companies and telecom companies earn that and they are less than 500,000 nation-wide. Overall, at least 40 million people can not afford the houses. In Nigeria, most houses on sale are 3-5 bedroom duplexes/ terraces/ bungalows usually with all rooms en-suite, however, most people are living in one or two rooms with shared facilities. Therefore, there is need for the ‘right’ housing product and the ‘right’ finance. Low income earners can afford virtually any product or service if such products and services are purposefully design to match with earning power. They can borrow and repay, at the ‘right’ time. The important thing is to provide loans to finance housing needs and obtain real estate products such as renovation of existing housing; complete on-going building projects i.e. roofing, furnishing; expansion of an existing house which encompasses the addition of more rooms, new fences, and additional facilities; among others. Citing the examples of microfinance institutions around the world that have successfully provided housing microfinance to customers, the pundits want the introduction of cost-efficient functional design and technology. Banks with microfinance focus (all banks actually should) should tap into this deep market i.e. for low income earners. Government should hands off housing finance – should channel National Housing Fund (NHF) and the Federal Mortgage Bank of Nigeria (FMBN) funds and housing schemes budgets to Micro Finance Institutions (MFIs) for the benefit of the low income. Primary Mortgage Institutions (PMIs) should become housing microfinance institutions or with a major focus in that area. Expensive, cumbersome and complicated land tenure and transfer of legal title in land procedures. Expensive cost of funds with high interest rates for construction and mortgages in comparison to the long term rentals expected by an investor in the real estate market. Rent control legalisation for the mass residential rental market. High rate of tenants default in paying their rentals on schedule due in some cases to diminishing purchasing power. Technical, cumbersome and expensive recovery of possession of premises legislations. The effort of the Federal Government of Nigeria to address this problem in the past by proposing a rent control legalisation has met with criticism as a result of the failure of the supply side of the real estate market and also, the failure of prior and subsisting rent control legislations and homeownership schemes to address the problems of minimum housing in Nigeria. This industry-wide review will also provide up-to-date legal information on the last two factors of rent control and recovery of possession of premises which have and continue to challenge and inhibit investments in the real estate market. Demand for commercial property was pulled down by a weak retail sector as industry pundits watched investors shun the market. The pundits reported that business demand for commercial property fell in the last twelve months. Another section of market reported a fall than a rise in demand compared to a substantial rise witnessed at the beginning of the second half of national life. A weak retail sector has been the driving factor behind falls in demand, although office property demand has also moderated. New enquiries have held firm indicating that expansion may be on temporary hold until real estate finance jitters subside. The credit market turmoil has had a negative impact on investment into commercial property assets with capital values declining across all sub-sectors, particularly, real estate. Meanwhile, industry pundits reported the biggest boom in investor demand within the office sector as the recent financial sector turmoil has seen investors re-price risk. More market operatives reported a fall than a rise in investment demand in the office sector which also recorded the biggest fall in prime capital values with the net balance falling. Confidence in rental expectations halved in third quarter but still remains positive outside of the retail sector. The turmoil in the credit market is being most acutely felt in commercial property as the sector is more dependent on capital market funding than in the past. Real estate business expansion has been put on hold in the short term with the near term outlook for rents weaker as a result. Fears of the impact of credit crunch have made investors retreat to the margins as confidence in returns diminishes. Sentiment in the market is at the lowest point in last four months and is unlikely to improve in the short-term. The evolution of new frontiers in real estate development was further consolidated by the advent of universal banking which has broken all the barriers and impediments in the quest for real-time delivery of quality products and services that hitherto are not regarded as core banking. Also, the Ministry of Power, Works and Housing had restated its resolve to give preference to the low-income housing segment of the property market. The ministry’s decision was informed by the need to inject life and relevance into the hitherto neglected segment of the housing delivery process. Since the Federal and State governments had in the past endeavoured to play an active catalytic role in the economy by initiating and acting as sizeable stakeholders in a number of core industries and sectors, the government reduced its grip on key sectors including housing and infrastructure provisioning. Accordingly, private sector investors were free to join or compete with government-owned utility corporations. A series of real estate initiatives had changed the nation’s landscape. While property inventory is low and the desire to change accommodation is high, prospective tenants were slowed down by the trend of more than 2-year advance rent in the rental-housing segment of the real estate market. The use of cheap local building material is being encouraged while appropriate structures and polices aimed at enabling eligible Nigerians access long-term and cheap mortgage finance for housing development have not been put in place by the government. A cross-section of industry operators whose opinion were sampled recently revealed that there is a serious dissatisfaction concerning the way the process of amending the PMIs Act has been handled in the recent times. The operators feel that recommendations that would amend and improve the scope of operations of PMIs should be quickly implemented to enable them carry out those functions that will drive the sector and make it more robust. But in a swift move to provide mass and affordable housing delivery to Nigerians, the Federal Mortgage Bank of Nigeria (FMBN) concluded arrangements to commence the trading of mortgage –backed securities (MBS) in the capital market. Housing is a major pillar of social security which the administration believed in. Affordable housing was a major component of the national economic development and development strategy and as such, the administration is doing everything possible to increase the number of Nigerians who could have access to it. As part of other strategies to boost housing development, sites and services schemes were being re-introduced to facilitate access to land just as foreign investors were being encouraged to participate in the sector through generous land concession programmes. In the course of the year real estate sector stakeholders also demanded for the urgent introduction and use of mortgage-backed securities (MBS) in housing finance as a definite means of curbing homelessness.They also said that one of the major signposts of the emergence of an effectual secondary mortgage process is a market scenario where the prospective property owner who applies for mortgage facility from primary market mortgage lenders such as banks, thrifts which include savings and loan associations and savings banks, mortgage companies, and credit unions would have it sold in the secondary mortgage market almost effortlessly. With the mortgage sub-sector in the country still at the lowest ebb, these operators restated the fact that the secondary mortgage market will not work without an efficient primary mortgage market in place. With reckless abandon, barrels of crude oil were continuously emptied into the nation’s coastal lines from the storage facilities of oil conglomerates which had refused to take responsibility for their actions. Wetlands and waste management efforts were also at the lowest ebb oil exploration and producing companies involve themselves in shoddy clean-up exercises without carrying all stakeholders along. The need to perform comprehensive surveys, testing, research, and development concerning the planning and drafting of policies regarding technology for the provision of infrastructures to use, develop, and conserve the national resources came up in the course of the last decade. The management of public infrastructure in all its complexity – including streets, highways, and sidewalks; public transportation; street lighting and traffic control systems; potable water; wastewater and drainage; parks, recreation facilities, and other public open spaces; communications systems, public buildings, solid waste handling and disposal, and others has been the subject of lots of discussion. But greater searchlight came on this issue in the last 12 months. The Ministry of Power, Works and Housing signified its intention to complete the computerization of federal lands registry as the first step towards reorganizing land registration system at the Federal level. This would bring all State branches of the registry under the control of the federal ministry for easy conduct of searches on land, mapping of the urban centres, and street numbering. The apparent lack of a masterplan for developments along the waterfronts in the last two decades was frowned at by lots of industry operators. They pointed out that the nation does not have a policy or masterplan for the control of development trends on the beaches, seasides and waterfronts. Real estate sector is one of the sectors of the economy that have experienced its ups and down. However, despite its perceived challenges facing the real estate industry like the other sectors of the Nigerian economy in the year 2018, real estate witnessed robust activities especially the activities of primary mortgage institutions. No doubt, it could appropriately be described as murkiness for so many operatives in the sector and enchantment for others. While citing Lagos as a highly viable market for real estate by virtue of its level of commercial activity and population density, industry analysts said major key players in this unique market are the Federal Government represented by the Federal Ministry of Power, Works and Housing and the Federal Housing Authority (FHA), State Governments, banks, primary mortgage institutions, private developers, individuals and other investors. Over the years, the housing market has been characterised by active participation by public and private developers; spread of Government focus on low, medium and high income housing; focus of private developers on high and ultra-high income groups; steady increase in property prices across locations especially in the high brow areas and contiguous locations; sustained increase in new developments including new estates creation; and increasing interest in real estate as investment vehicles and status symbols. They explained further that real estate market is characterized by high infrastructural and capital requirements coupled with high level of government control over key resource requirements, especially land. Industry economies of scale are skewed mostly in favour of large scale developers. There is slow increase in consumer purchasing power driven by access to mortgages. The acquisition of land is regulated to a large extent by the Government. The gap in cement supply is filled to a large extent by imports and relative availability of other building components (e.g. iron rods, sand and granite) on request. There is also a highly fragmented market with real estate developments tailored to suit distinct customer classes in terms of taste and price sensitivity. Industry analyst also decried the limited awareness of revolutionary building techniques, saying that Lightweight Expanded Clay with low threat of alternative building construction techniques in the short-term is not a consideration for builders. A survey was carried out to analyse location preferences and the different residential locations were grouped into clusters based on their geographic proximity and socio-economic similarities. From the survey, the highest majority of respondents currently reside in flats and bungalows, adding that the target income group for most real estate developers remains the upper middle, high and ultra-high income earners. The majority target market for real estate developers comprises individuals in the N10-N60 million income bracket. Clearly, there is a mismatch between the pricing of real estate and the purchasing capacity of a significant proportion of the potential addressable market. Thus, there is a need for innovative housing solutions to be made accessible to the lower income brackets. Furthermore, the pundits believe that there exists a huge untapped mortgage market in Nigeria. “Achieving Nigeria’s dream of Vision 2020 will require powerful strategies from government, lenders, and the private sector. Funding the building technology, supply chain, and the small and medium size businesses that are at the core of the delivery of affordable housing to citizens is paramount to the dream. Hence, we need to imbibe the core values of primary and secondary mortgage markets in transition and emerging economies with a view to seeing how we can modify some to suit the Nigerian market,” they declared. They advised real estate practitioners to step in to the challenge of providing appropriate information and data, analysis and inputs that will assist in the structuring of the Nigerian housing market. “Global best practices that can boost the housing market from a very pragmatic point of view should be imbibed. No doubt, we need put in place blueprints that will help Nigerians to gain access to more developed mortgage and housing finance related products. Policy makers (government, state governments, local governments, market and trade associations, etc.) must review existing frameworks, implement new rules and governance, and improve the reliability and efficiency of the mortgage finance system in Nigeria,” they reiterated.